With that principle in mind, the Skeptical Science team set out to debunk two climate myths in 2013. We were guided by cognitive psychology as we constructed our rebuttals. In both cases, we sought a different path to our usual social media practice of immediate blogging, tweeting and Facebook and looked for something that would have a long-term impact. We decided to tackle arguably the most destructive climate myth of all, that there is no scientific consensus about human-caused global warming. 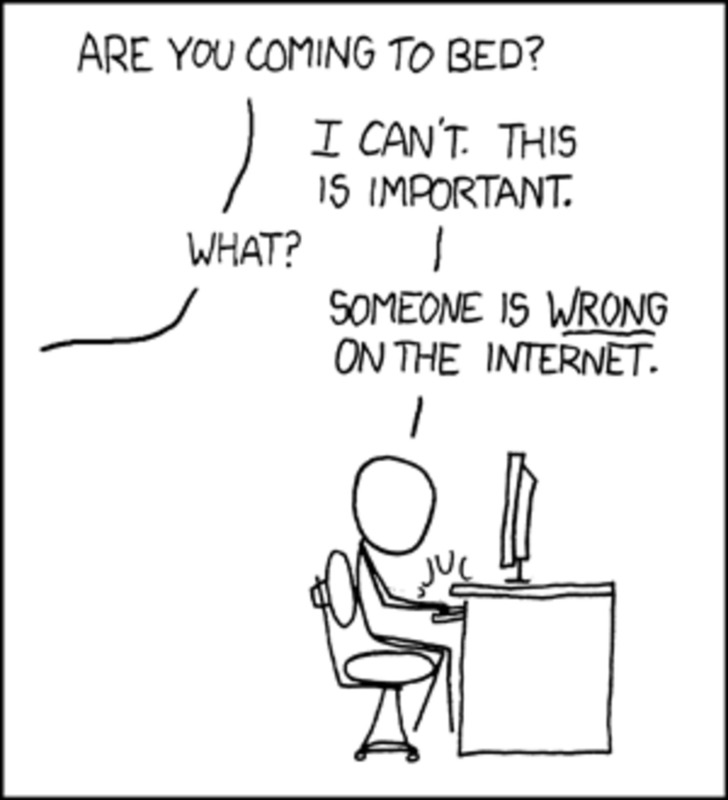 This misconception has grave consequences for society. When the public think that scientists don’t agree on human-caused global warming, they’re less likely to support policies to mitigate climate change. The Skeptical Science team spent about a year doing the scholarly research - reading the abstracts of 12,000 climate papers published from 1991 to 2011. 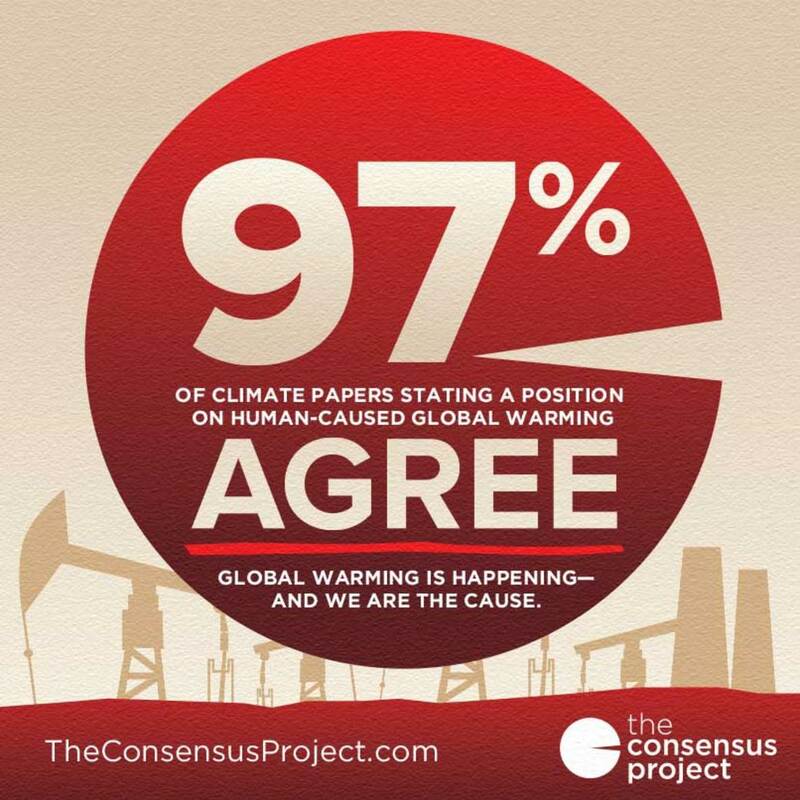 We identified around 4000 abstracts stating a position on human-caused global warming and among those papers, more than 97% endorsed the consensus. When our research was published in the peer-reviewed journal Environmental Research Letters, the University of Queensland and the universities of my co-authors issued media releases describing our work. The release was constructed with the psychology of misinformation in mind. The emphasis was on the key fact we wished to communicate: 97% agreement among relevant climate papers. But we also activated the misconception by mentioning survey data finding low public perception of scientific agreement. The result was media coverage all over the world, including many non-English speaking countries. At the same time, we launched The Consensus Project website that explained the results of our paper with clear, simple animations. We released a series of shareable infographics, making it easy for people to share our results on social media. 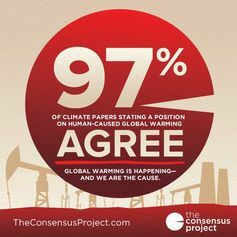 Our goal was for the message of scientific consensus to push beyond people already engaged with the climate issue, and raise awareness among people who had no idea that there was 97% agreement among climate scientists. 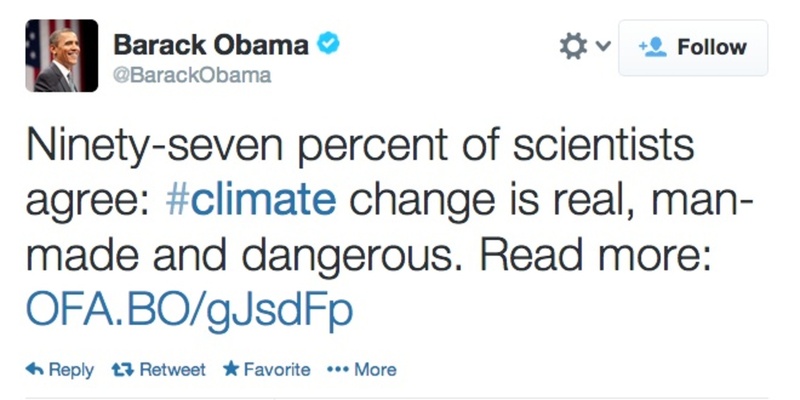 We achieved this goal beyond our expectations when President Obama tweeted our research to 31-million followers. His tweet was retweeted over 2,500 times. 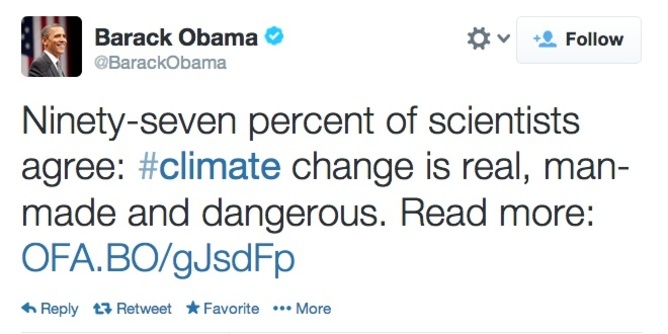 Several weeks after the tweet, Obama gave a landmark speech on climate change in which he acknowledged the 97% consensus. This exercise taught us that while social media is the future, old media isn’t dead yet. And perhaps the sum of the two are greater than their individual parts. The second myth we tackled was the mistaken belief that global warming has stopped. 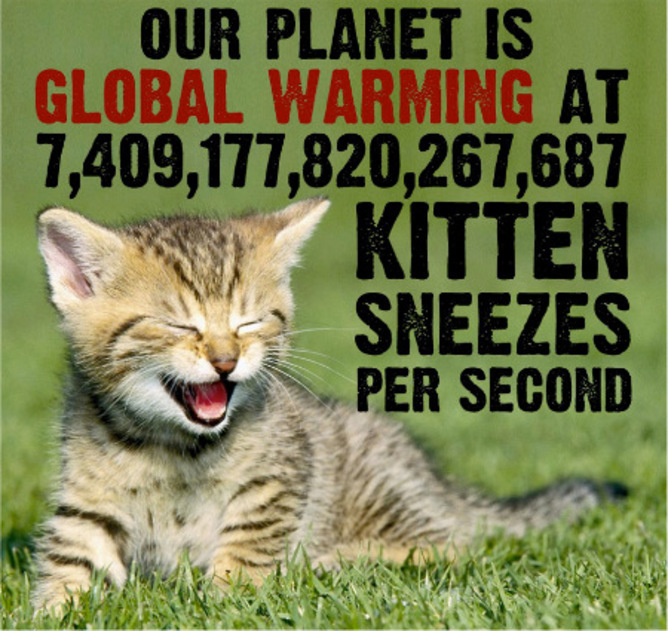 This myth has many variants, such as “global warming stopped 15, 16 or 17 years ago” (the time period varies) or “no statistically significant warming since 1998”. 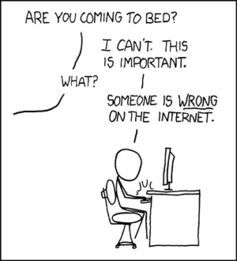 Typically, scientists respond to the “no warming” myth using statistical explanations that go over the heads of most people. How do you debunk this myth in a compelling, memorable way? Unlike traditional social media campaigns that flare brightly then quickly fade away, the widget steadily and incrementally increases the number of people it reaches. Since it was released in November it has been embedded in a number of blogs. The figures continue to grow with latest showing it used by more than 80 blogs and viewed more than 2-million times. We knew the Hiroshima metaphor would be controversial but several factors influenced our decision to use it. One was that distinguished climate scientist James Hansen had been using the metaphor for years. Another was an article by the Bulletin of Atomic Scientists, a prestigious journal founded in the 1950s to warn of the dangers of nuclear weapons. 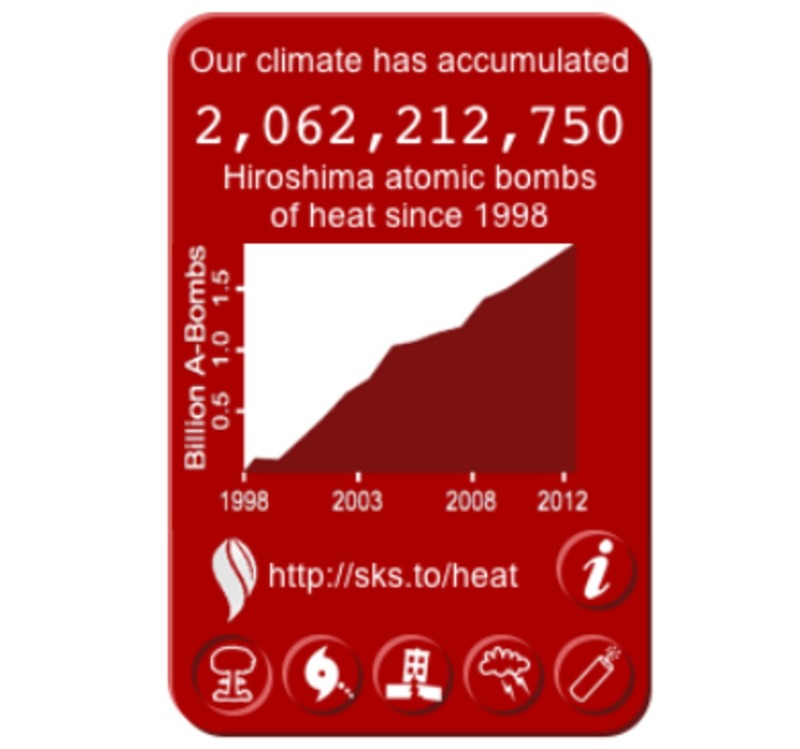 The Bulletin endorsed the use of the Hiroshima metaphor as a compelling way to communicate the reality of global warming. But ultimately, the cognitive science told us this was the most compelling way to refute the “hiatus” myth. As expected, the widget provoked a strong reaction, predominantly from those already dismissive of climate science (and keen to prop up the “global warming stopped in 1998” myth). I put the challenge out there to come up with a better metaphor to conceptualise the amount of heat that our planet is accumulating. No viable alternatives have come forward. However, at the American Geophysical Union Fall Meeting in December, I proposed a tongue-in-cheek metaphor that I thought may get away with offending no one: kitten sneezes! Two communication outreaches by Skeptical Science in 2013 took wildly different approaches but with the same goal. One adopted a top-down approach, attempting to reach the public through scholarly research and mainstream media. The other took a bottom-up approach, raising awareness through a widget embedded on a wide range of blogs. Both were based on the psychological research into debunking. Both were conceived as slow burn communication, with both achieving long-term impact. This is an edited version of John Cook’s presentation delivered at the Australian Science Communicators national conference in Brisbane, February 2014. John Cook created and maintains the Skeptical Science website. This article was originally published at The Conversation.